After the war ended half of the exiled Jews returned home to Serey. In accordance with the autonomy law regarding minorities, issued by the new Lithuanian Government, a Community Committee was elected at the beginning of the twenties. 263 persons voted in the Committee elections in the autumn of 1923, and a Committee of 12 members was elected, headed by Dr.L.Finkel. The Committee was active till the end of 1925 when the autonomy was annulled. During its existence the Committee collected taxes as required by law and was in charge of all aspects of Community life. In 1922, for example, it imposed taxes on 133 people, which were divided into six categories. 58% of the income being collected from the first two grades who comprised only 25% of all the assessed. 46.0% for the Rabbi and the Shochet (Slaughterer). This money did not come from the taxes collected by the Committee. The successor of the Committee was the "Ezrah" Society which took over almost all the functions of the Committee. In Lithuanian it says: Serey Jewish welfare, social help and culture society "Ezra". Four Jews were elected to the municipal council in 1924. Serey Jews made their living from commerce, crafts, light industry, agriculture and fishing. There were also peddlers who earned their living by going to villages in the vicinity, selling, buying and bartering on the spot. According to the 1931 government survey of shops, Serey had 30 shops, 29 of them owned by Jews (97%). The Tzviling family owned a flour mill, a power station and a metal workshop. Yitzhak-Hirsh Slavatitzky owned a light drinks and beer factory, Moshe Finkel owned the only hostel in town and also a big spinnery. Jewish shops were concentrated around the market square and their main income was on market days, which took place twice a week, on Tuesdays and Fridays, and at the 16 yearly fairs. Some shops were close to the Catholic Church and as a result of pressure by the priests most of them were destroyed, the pretext being that in a few years the square would become a public park for the benefit of all. By 1936 only two Jewish shops were still left in the square. Several Jewish families earned their living from fishing in the Neman river and in the nearby lakes. In 1937 SEREY counted 70 Jewish artisans: 20 shoemakers, 9 butchers, 7 tailors, 6 bakers, 4 oven builders, 4 blacksmiths, 3 hatters, 3 stitchers, 2 glaziers, 3 barbers, 2 locksmiths, 2 watchmakers, 1 knitter, 1 dressmaker, 1 leatherworker, 1 cord maker and 1 photographer. 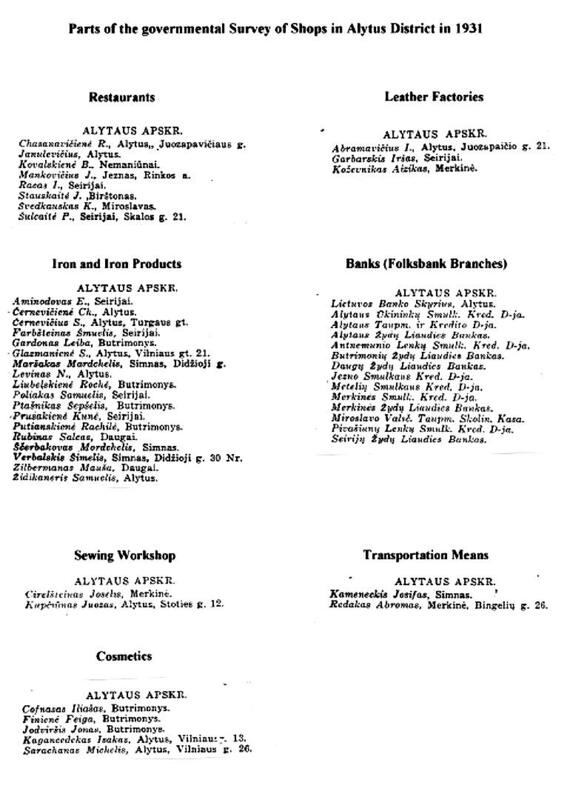 The "Folksbank" played an important role in the economic life of Serey Jews, and had 176 members in 1927. There was also an active branch of "The United Society for Credit for Jewish Agrarians" in town. In 1939 Serey had 30 telephone subscribers, half of them Jews. As a result of the agrarian reform carried out by the Government, most of the Serey Jewish lands were taken away from their owners, causing many Jews to wind up their occupation with agriculture. The "Lithuanian Merchants Association - Verslas" established consumer coops and ran a strong propaganda campaign against buying in Jewish shops. The result was a deterioration of the economic situation of Serey Jews, many left the town emigrating abroad, mostly to America, Mexico and South Africa. Among the youth many immigrated to Eretz Yisrael. Altogether there were 165 children eligible for an elementary school. Based on this survey a Hebrew school of the "Tarbuth" chain was established in Serey. It was located in a three storey house built for that purpose. This building also housed a library with several hundred Hebrew and Yiddish books as well as a reading room where available newspapers were located. The gymnastic hall of "Maccabi" was also in this building, and the activities of the school were supervised by a parents council. There was a "Talmud-Torah" and a government school for carpentry, but only one Jewish boy studied there (in 1936). In addition to the Zionist parties, a branch of "WIZO" (Women International Zionist Organization) with about 50 members was active in town. Also Zionist youth organizations, such as "Gordonia" with about 60-70 members, "HaShomer-HaTsair" and "Betar". The activists of the "Gordonia" branch were: Yekheskel Berent, Asher Berent, Betsalel Aminadav, Ze'ev Shalkovsky. Sports activities took place in the branch of "Maccabi" with about 50 members and in the "HaPoel" branch. Donations for the National Fund - KKL - were regularly collected and most of the Jewish houses had the KKL Blue Box. In the twenties a "Kibbutz Hakhshara" was established on the farm of Nun-Ziman. In 1934 an "Urban Training Kibbutz" of "HeKhalutz" existed, and there was a Volunteer Fire Brigade, all of whose members were Jewish. 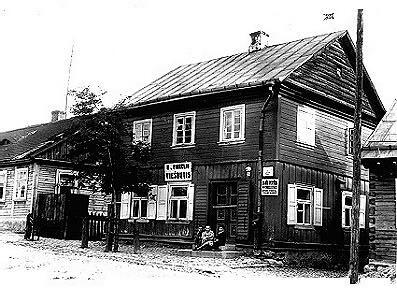 Religious life was concentrated around the old synagogue and the "Klois". The Rabbis who served were Yisrael Goldin (1874-?) 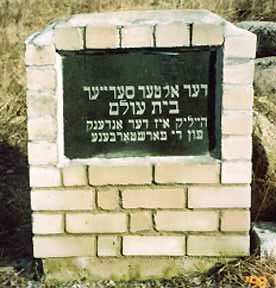 in Serey 1909-1924, Eliezer Shchupak, 1877-1939, in SEREY 1930-1939, and the last Rabbi was A.Karno. The welfare societies consisted of "Ezrah", "Bikur-Kholim", "Linath HaTsedek" and others. There was also a "Khevrah Kadisha". For the partial list of personalities born in Serey see Appendix 5. 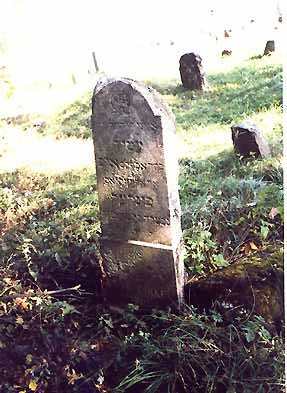 The monument at the entrance with the inscription in Yiddish: "The old Serey cemetery, sacred is the memory of the dead"